We thought we’d get a drone’s eye view of the work comp landscape and related matters with a retrospective of the 2017 goings on and a look ahead at predictions and trends for 2018. Joe Paduda: How’d I do on my 2017 workers’ comp predictions? Gallup News: Are You Ready to Respond to 2018’s Biggest Healthcare Trends? We’re still awaiting an appointment to the Department of Labor under the Trump administration, so we don’t expect an Occupational Safety and Health Administration (OSHA) director to be named until after that. Right now, a hearing for the controversial Andrew Puzder as secretary of labor is scheduled for February 2. Part of the controversy related to the fast-food CEO revolves around numerous civil rights suits that his company has logged. In the National Safety Council’s Safety + Health Tom Musick reports that legal experts are predicting significant changes for worker safety regulation under the new administration in his article OSHA under Trump: A closer look. Labor-law experts predict that OSHA will move away from an enforcement-based strategy and toward compliance assistance and cooperative programs for employers. OSHA’s funding could decrease, and the way it spends its funds also could change if Trump limits the agency’s enforcement budget. Recent regulations such as the injury and illness recordkeeping rule, the silica rule and the so-called “blacklisting rule” all could be in jeopardy under the Trump administration. For another take at the crystal ball, Russell Carr has issued two in three-part series of articles on potential changes at EHS Today. Carr comes from the perspective of an owner of an environmental, health and safety consulting business. Will The Trump Administration’s Regulatory Reform Agenda Include Rollback of EHS Regulations? In looking at changes that may be in store for OSHA and other regulatory agencies, it’s instructive to look at the broader context of some steps that have been taken early in the new administration. On his first day in office, President Trump issued a hiring freeze on non-military federal employees and, at least for some departments, on grants and contracts. “President Donald Trump’s hiring freeze will last only as long as it takes his administration to come up with an alternative attrition plan, according to a memorandum released by the White House Monday, and could provide broad exemptions for agency leaders. Unions and veterans groups say the federal hiring freeze would make the government less efficient, and make it harder for the US military personnel to find jobs when they leave the service. (About a third of all federal hires are military veterans, although if they’re working security positions, for example, they may not be affected). The freeze could also take off the table thousands of well-paying jobs for US citizens with higher education and specific skills. The Holman Rule, named after an Indiana congressman who devised it in 1876, empowers any member of Congress to propose amending an appropriations bill to single out a government employee or cut a specific program. The use of the rule would not be simple; a majority of the House and the Senate would still have to approve any such amendment. At the same time, opponents and supporters agree that the work of 2.1 million civil servants, designed to be insulated from politics, is now vulnerable to the whims of elected officials. Information lockdown – temporary or a sign of things to come? It’s not unusual for incoming administrations to seek control over agency communications, especially at the outset, when Cabinet secretaries aren’t in place. But experts on the federal workforce say they have never seen a White House take the type of steps Trump’s administration has to curb public communications. Restrictions are reported to include press releases, photos, tweets, speaking engagements, fact sheets, news feeds, and more. See a related story at Politico: Information lockdown hits Trump’s federal agencies. Hopefully, this will be short-term in nature, but one that we will be watching – by early indicators, it doesn’t seem as though an open “sunlight” approach to communications will be a core value of this administration. if we were putting money on it, we’d bet that it’s just a matter of time until OSHA’s recordkeeping rule is toast, particularly in light of pending lawsuits challenging the rule and Trump’s recent promise to roll back regulations by somewhere int he order of 70-80%. 2016 was both a hair-on-fire and a pants-on-fire kind of year – so much so that the Oxford Dictionary chose “post truth” as its Word of the Year. In case you’ve been buried in a crypt this year or on a desert island (and who could blame you?) here’s an explanation of how they arrived at that choice. Strangely, “fake news” didn’t even make their list, but you can read the runners up. You shouldn’t find much in the way of fake news here in our post today – we’re looking at key workers comp, insurance and related stories for 2016 – along with a few predictions for the upcoming year. Paduda: 2016 predictions – how’d I do? Dave Barry’s Year in Review: 2016 — What the … ? The use of health monitors and fitness trackers have exploded in recent years — but expect the next frontier in wearable technologies to be in the workplace. The implications for worker safety and productivity are promising. While Google first introduced its revolutionary Glass to consumers, the current marketing direction is aimed at custom work applications. One example of this is Patrick Jackson, a firefighter in North Carolina’s Rocky Mountain fire department: This Firefighter Built His Own Google Glass App And It’s Saving Lives. The article also suggest another work safety application in DriveSafe, a Google Glass app that uses infrared sensors to detect when you doze off and to issue alarms to wake you and direct you to the next rest area. PC World takes a look at other potential workplace applications for smartglasses , noting that, “The future of smartglasses will be realized by a factory worker operating a 3000-pound stamp press, not a gamer stomping on virtual-reality bad guys. Face computers will be all about scanning bar codes on cardboard boxes, not scanning tourist attractions for augmented reality overlays.” They present a variety of work scenarios, from hands free scanning and troubleshooting to safety applications. 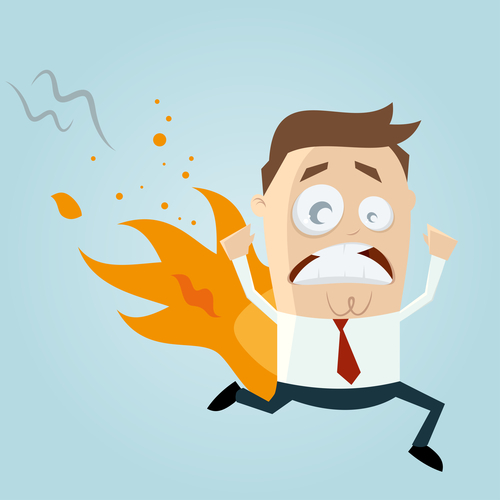 FierceCIO explores the topic further in Making wearables a good fit for workplace safety. They discuss potential safety applications and suggest that gaining optimal value from wearable devices will require IT departments to innovate with software applications, data management and administrative protocols and policies. Wearables are not without their HR and IT challenges. Susan Kuchinskas explores some of these issues in Forbes: How To Prepare Your Business For Wearable Technology. Also see:The Wearable Technology Revolution: Is your workplace prepared? We’ve gathered some year end wrap-ups as well as some predictions for the year ahead. For decades now, it’s been almost axiomatic: manufacturing is better offshored. Conventional wisdom, talking heads and campaigning politicians alike would have you believe American manufacturing is dead, killed off by greedy unions, high taxes, and an onerous regulatory climate. China, Taiwan, Mexico, and other emerging economies offered a seemingly ideal business climate without most of these pesky problems. But not so fast. Paraphrasing the great Mark Twain, reports of manufacturing’s death may be greatly exaggerated. Some manufacturers are questioning the wisdom the offshoring trend and, in a move that might be called “repatriation,” some big name companies are re-establishing domestic operations here in the U.S. or simply making the strategic decision to keep operations here. This month’s Atlantic Magazine features a must-read article by Charles Fishman — The Insourcing Boom — which talks about how General Electric is moving much of its appliance-manufacturing operations back home to Appliance Park in Louisville, Kentucky. In the late 1960s and early 1970s, Appliance Park was the quintessential American manufacturing operation, employing 23,000 at its peak in 1973. But after years of offshoring jobs, the site became a ghost town. In 2011, the Park’s employee population was down to 1,863. But this year, something interesting began happening. In February, the first new assembly line at Appliance Park in 55 years began making water heaters – a product line that had been previously made in China. A team of employees eliminated parts, reduced material cost by 25%, cut the work hours necessary to assemble the water heater from 10 hours in China to two hours in Louisville. It beat the “China price” price by nearly 20%. Plus, it greatly improved time to market – cutting factory to warehouse time literally from weeks to minutes. It happens slowly. When you first send the toaster or the water heater to an overseas factory, you know how it’s made. You were just making it–yesterday, last month, last quarter. But as products change, as technologies evolve, as years pass, as you change factories to chase lower labor costs, the gap between the people imagining the products and the people making them becomes as wide as the Pacific. What is only now dawning on the smart American companies, says Lenzi, is that when you outsource the making of the products, “your whole business goes with the outsourcing.” Which raises a troubling but also thrilling prospect: the offshoring rush of the past decade or more–one of the signature economic events of our times–may have been a mistake. Perhaps most importantly, the manufacturing sector is recovering faster than the rest of the economy. Through the course of the past two years, the economy has added 334,000 manufacturing job, and that’s the strongest two-year period of manufacturing growth since the 1990s. Lisa Harrington also examines this trend in an article in Inbound Logisitics: Is U.S. Manufacturing Coming Back?. She cites further examples of work that was created in or brought back to the U.S. She explores some of the strategic decisions that need to be factored in to where production occurs. The article includes a checklist, Nine Steps to Choosing a Manufacturing Location from Stephen Rogers, author of The Supply Chain Advantage: How to Link Suppliers to Your Organization’s Corporate Strategy. Companies are realizing that the physical location of supply and manufacturing operations can have a significant impact on overall competitiveness. An unbalanced network–where regional supply is physically separated from regional demand–makes it difficult for the organization to deliver on the very customer expectations that drive growth. Fishman notes that such “insourcing” will not suit all companies – basic work processes, such as mass market clothing manufacturers, will likely never return. Relocation in the U.S. seems to suit companies with high-tech and complex manufacturing process and products that require continuous innovation and improvements. He cautions that American manufacturing will never return to its prior peak, and he describes various ways that things have changed: “Back in the ’60s, Appliance Park was turning out 250,000 appliances a month. The assembly lines there today are turning out almost as many–with at most one-third of the workers.” But he cites the “multiplier effect” that the presence of a large manufacturer can have. We saw the multiplier effect in action when the auto industry was in risk – it wasn’t just the auto jobs that were threatened, but entire communities – including businesses as diverse as parts suppliers to luncheon delis. Manufacturing May Be Coming Back to the U.S., Long-Term – an article in Forbes by Robert McCutcheon, the U.S. industrial products leader of PwC. The Reshoring Initiative – founded by Harry Moser in 2010, an industry-led effort to bring manufacturing jobs back to the United States. The initiative works with U.S. manufacturers to help them recognize their profit potential as well as the critical role they play in strengthening the economy by utilizing local sourcing and production. a community of academics and industry members whose support allows Forum researchers to provide customer-focused solutions to design and manage the new supply chain. So the Annual Issues Report is a rather big deal – arguably one of the most important workers’ comp documents of the year. It offers an annual checkup on the health of market, along with discussion of trends, legislative changes, and the like. Plus, informed commentary on hot topics from various industry leaders. development,” claims frequency saw its first increase in 13 years. After 6 years of decline in the residual market (aka, “market of last resort” or “the pool”), NCCI is seeing initial signs of an increase. Direct written premium is showing some growth. State results show deterioration, with the ratio of increases in loss costs to declines doubling in just two years, a trend that is expected to continue in 2012. Goring forward, uncertainties prevail. There are many wild cards that make forecasting difficult, with two big ones being the effect of the economic recovery and the 2012 election. And while there have been both troubling indicators (a rise in frequency, signs of residual market growth) and more positive indicators (improved investment scenario, growth in written premium), it is too soon to say if any of these are the beginnings of a trend. Here’s an overview of other articles included in the Issues Report – all available for download, and all worth your time. I spent two very productive days last week at the Workers Comp Research Institute (WCRI) conference in Boston. WCRI plays a unique role in the comp system. Their annual conference, devoid of the usual hucksterism, focuses on the fundamental paradigms of insurance and poses the toughest questions. Some of the answers provided by conference speakers (most of whom are not from WCRI) are both radical and surprising. I find myself relentlessly jotting down notes from topic to topic. Here are ten paradigm-shifting propositions that I have extracted from my time at the conference. A number of these propositions address the issue of opiate use, perhaps, along with back surgery, the most important cost drivers in the treatment of workplace injuries. 1. Pain is hard to objectify, expensive to treat, and absolutely the wrong focus for treating workplace injuries. Treatment should focus instead on behavioural approaches to pain and the relentless encouraging of maximum feasible physical activity. 2. The comp system, a wonderful success story celebrating its 100th anniversary, is poorly designed to confront the problems in today’s fractured and highly unstable economy. 3. Monopolistic systems for comp (only 4 remain) have unique leverage to solve intractible problems such the cost of drugs in the comp system. Washington state has solved the pharma problem through the aggressive use of generic drugs, the limiting of opiate prescriptions and the imposition of a favorable fee schedule. Alas, these solutions are unlikely to work in states with competitive systems. 6. Opiates should come with a written contract and a User’s Manual. Workers should be tested on their knowledge of the benefits and the risks. 7. Most doctors who prescribe opiates have no idea what they are doing, no idea how to manage opiate-based treatment and no clue about the potential for harm. Medical schools simply do not address these issues. 8. Back pain is virtually universal, the inevitable result of aging, and generally is unrelated to workplace trauma. (You might want to read that again for full effect.) To be sure, this is a controversial assertion and involves a complete paradigm shift. Nonetheless, the idea is well worth scrutiny by all parties involved: doctors, payers, injured workers and their families. Conference speaker Dr. James Rainville asserts, among other things, that exercise is the best treatment for back pain. 9. Medical fee schedules lower costs, except when they don’t (e.g.Connecticut, where the schedule appears to be set too high). 10. There is an enormous disconnect between the workers losing their jobs in this recession and the severely limited number of jobs projected for creation over the coming decade. This bodes poorly for the 25 million injured or unemployed workers with obsolete skills who are struggling to return to productive employment. I recognize that these ideas require much more in the way of detail and documentation. I offer them as a Monday morning stimulant. Consider this posting as a micro-conference on some of the major issues facing the time-worn workers compensation system. I hope it’s a list worth a few moments of your time, as you sip your coffee and prepare for the holiday-shortened week ahead. Special thanks to Andrew Kenneally, WCRI’s able communications director, for recognizing that bloggers have a role to play in disseminating information about workers comp research and who invited me to attend the conference. I would also acknowledge Dr. Richard Victor, whose penetrating insights animate the entire WCRI world and whose conference-concluding talk (“The Elephant in the Room”) made it well worth the time to stay to the end (see # 10 above). SafetyNewsAlert’s Top 10 Deadliest Workplace Tragedies for 2010. Dana Reynolds of Risk & Insurance offers A 2011 Wish List for Risk Managers and Cyril Tuohy offers his 2011 “Wish-Not” List for risk and insurance managers. 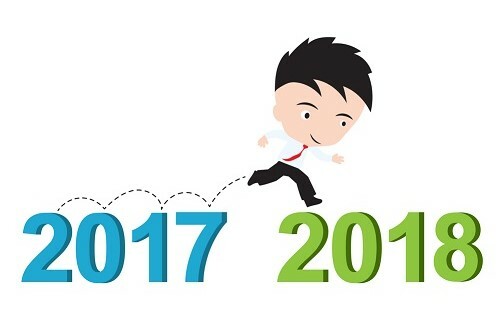 Joe Paduda looks in the crystal ball: What’s Up for 2011 – Predictions for Work Comp in the Next Year and assesses his 2010 prognostication performance. Research & Markets: 2011 Trends to Watch: Insurance & Technology. At its annual conference in Orlando, the National Commission on Compensation Insurance (NCCI) recently presented an overview of the state of workers compensation insurance across the country . Dennis Mealy, NCCI’s chief actuary, presented to a standing-room only crowd, which is notable in itself, as the normal crowd for an actuary would fit in the proverbial phone booth. 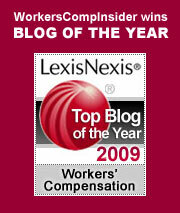 From 2008 to 2009 workers comp premiums dropped by 11.8%. No surprise, as premiums are tied to payrolls and the latter have tanked along with the economy. In addition, average premium rates have declined steadily since 2003, as no politician wants to approve a rate hike. Net written premium from 2007 to 2009 is down 23%. The payroll for manufacturing has been on a steady decline over the past two decades. The payrolls for manufacturing and contracting comprise 20% of comp payroll nationwide, but generate 40% of the premium. Again, no surprise, as the manual rates in these areas are higher then the rates in other occupations. Investment gain – the crucial money made off the float of premium dollars – dropped to 7.1% in 2008, after averaging nearly 15% in prior years. The combined ratio for workers comp is running around 110 – in other words, for every dollar insurers collect in premium, they are spending $1.10. Insurers continue to offer premium discounts in order to secure new business or retain existing business (what my colleague Tom Lynch refers to as “eating their young”). Frequency of injuries continues to trend downward. The average cost of indemnity per lost-time claim and the average medical cost per claim continue to rise. There you have it: premium dollars are down, investment returns are down, and losses are up. These days it’s not easy making money in workers comp. On the other hand, the economy seems to be recovering; the prospect of virtually universal health coverage could well have a positive impact on comp; and despite all the problems, residual markets remain small. As is usually the case, insurers are betting that they can beat the odds of a tough market: by writing only the best businesses, by preventing injuries through loss control, by managing claims aggressively and by investing prudently. For insurers, that “tomorrow” hopefully includes more favorable rates, improved return on investment, employers truly committed to safer workplaces, employees who really pay attention, and, while we’re making a wish list, selfless attorneys. You gotta love tomorrow!